The SSM Health board of directors named Laura Kaiser the new president and CEO of the St. Louis-based Catholic health system. On May 1, Kaiser will take over the position, which was previously held by William Thompson, who announced his retirement in June 2016. 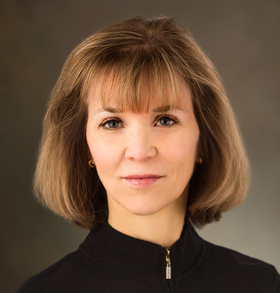 Kaiser joins SSM Health from Salt Lake City-based Intermountain Healthcare, where she has been the executive vice president and COO for the last five years. Before that she spent 15 years with Ascension Health, including as president and CEO of the Sacred Heart Health System, a subsidiary in Northwest Florida. At SSM Health, Kaiser will work to move the system toward value-based payment and delivery models. The system, which has more than 8,500 physicians on staff, includes 20 hospitals and 62 outpatient-care sites, as well as an insurance company and a pharmacy benefit company.